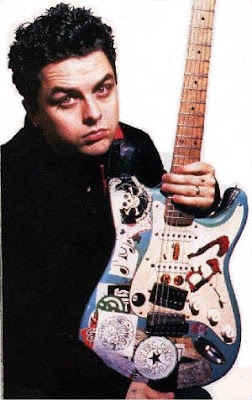 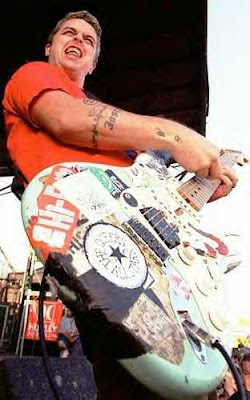 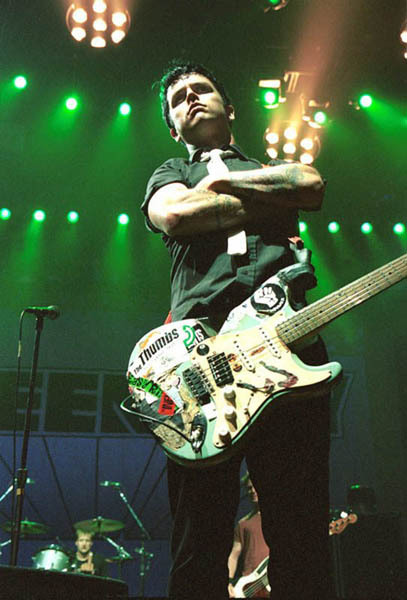 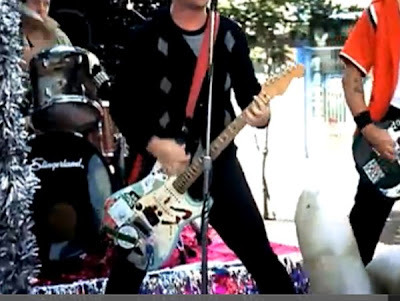 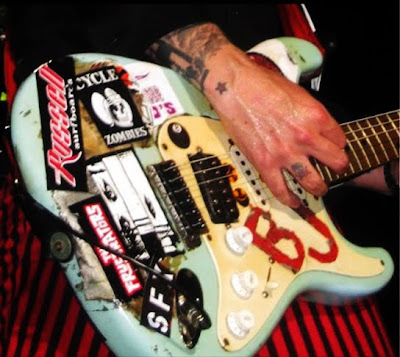 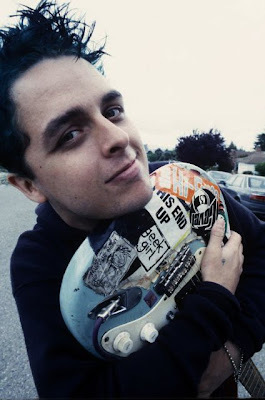 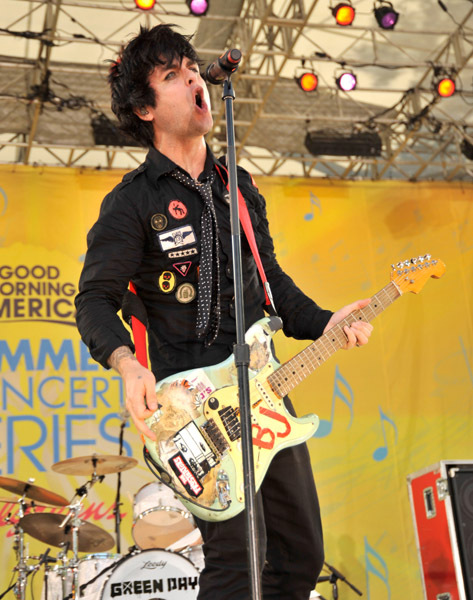 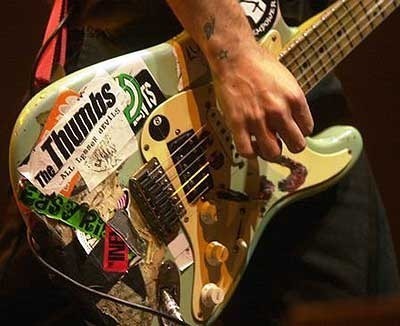 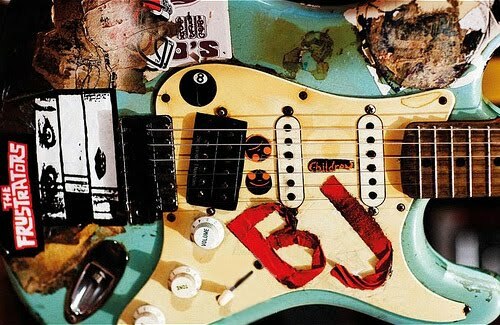 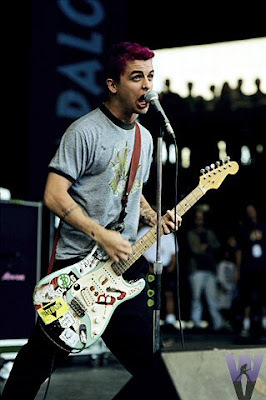 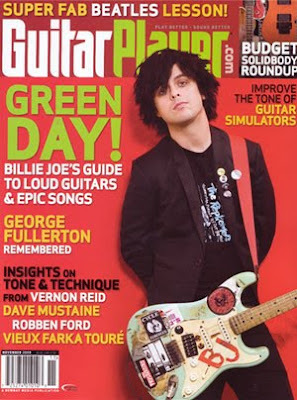 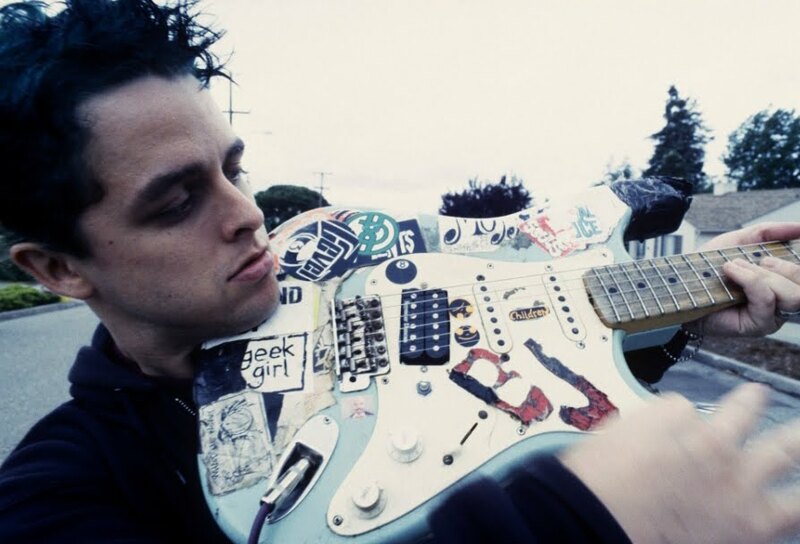 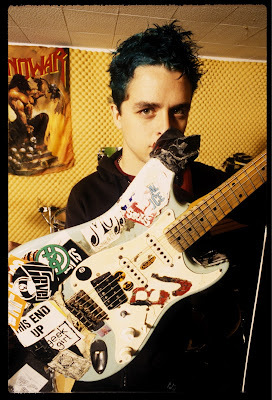 Wanna make a guitar replica like Billie Joe from Green day? 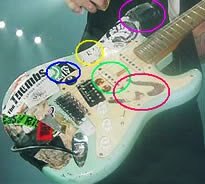 Regular version (Free) - Basic version, small size, may look bad after printing, limited stickers, some rare stickers not included in this pack. 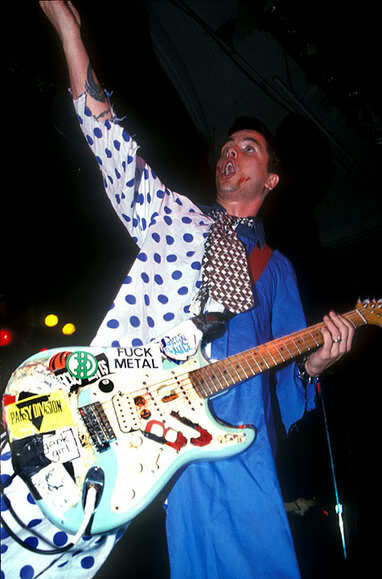 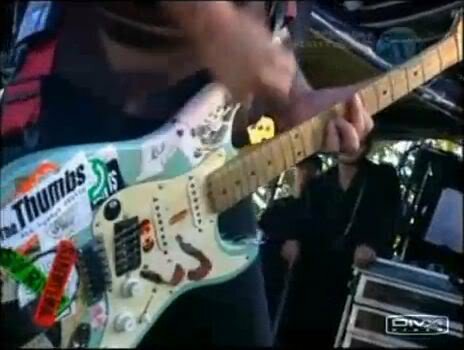 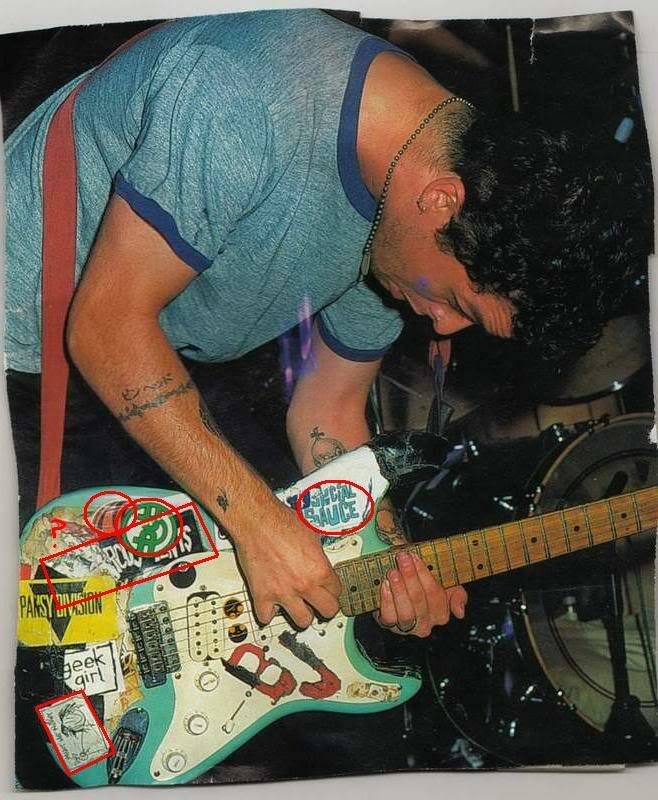 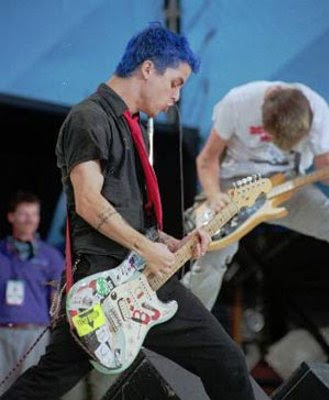 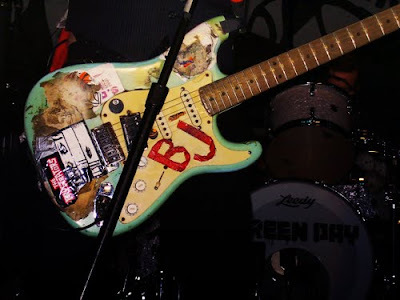 Pictures of BJ's Guitar Blue. 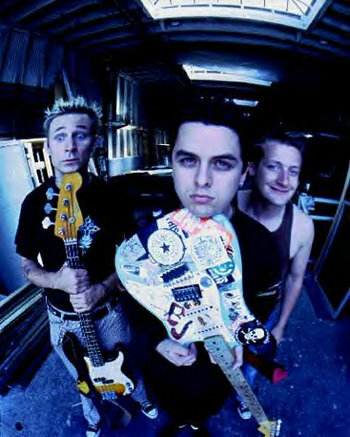 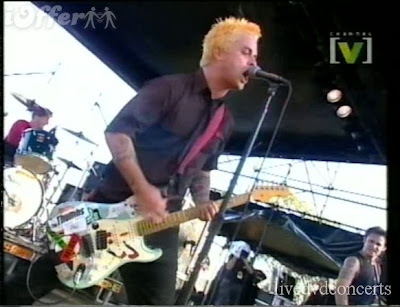 This Version became part of One of the most Amazing Green Day Gig 'Bullet in a Bible'. 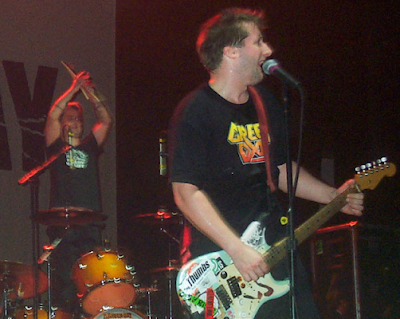 This version continued till late 2009. 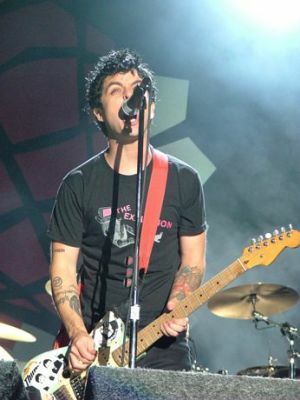 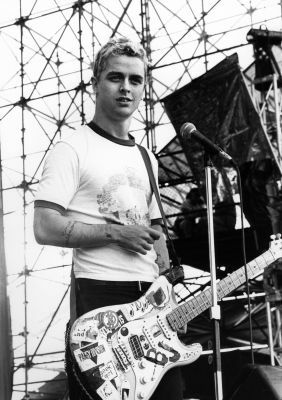 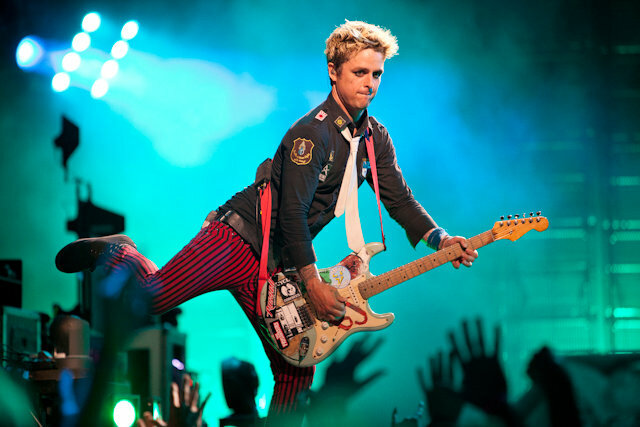 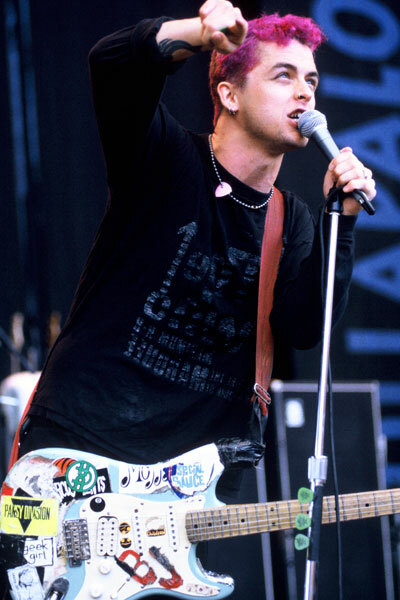 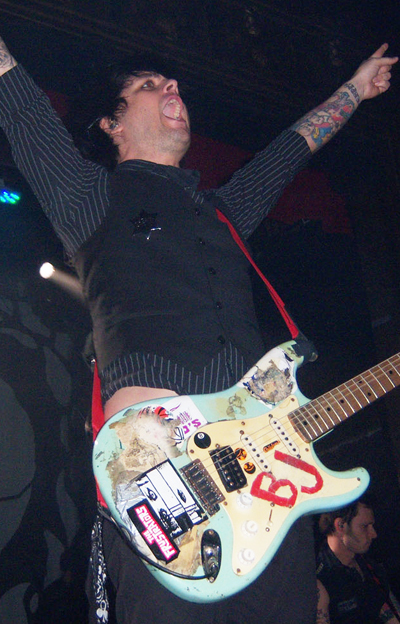 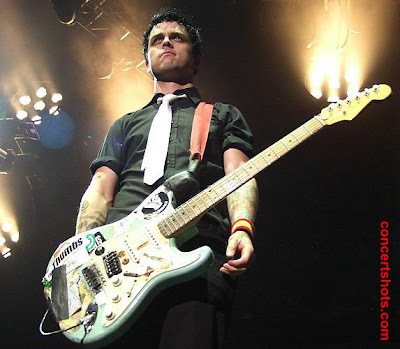 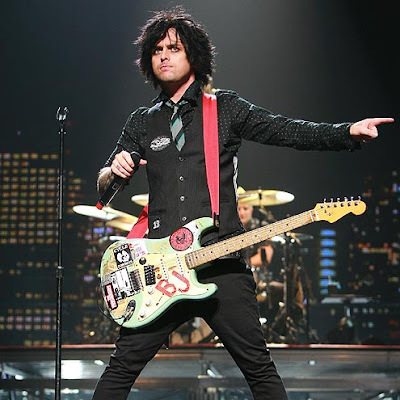 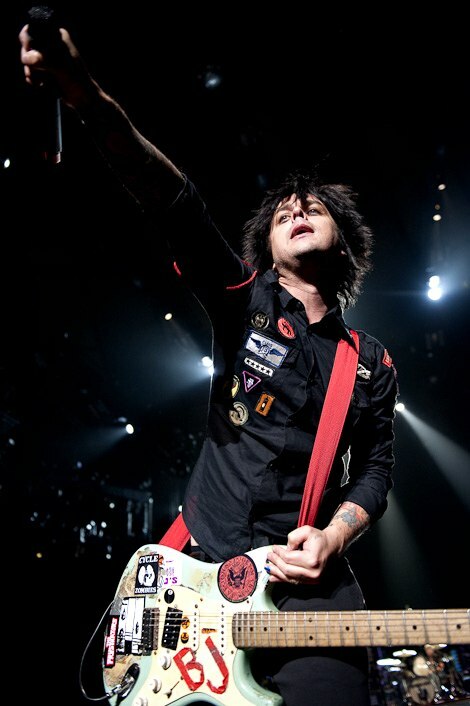 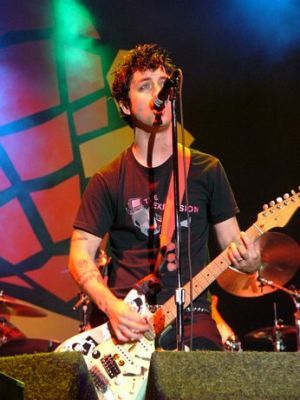 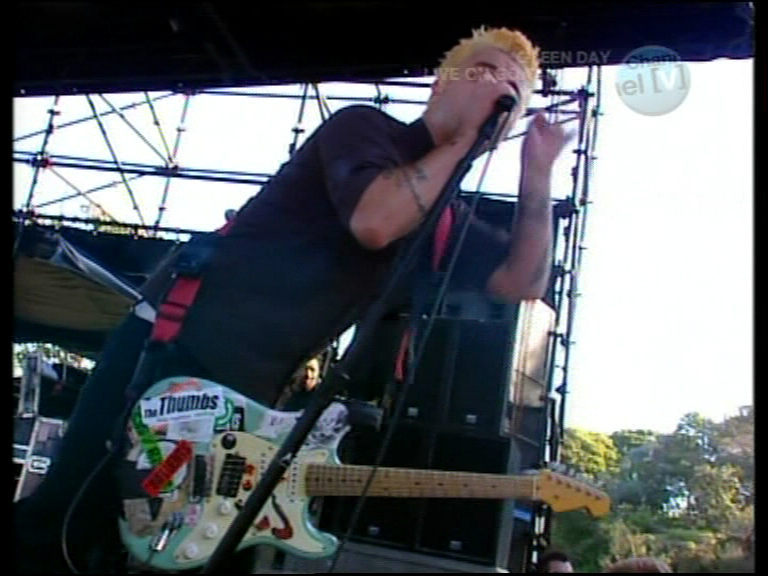 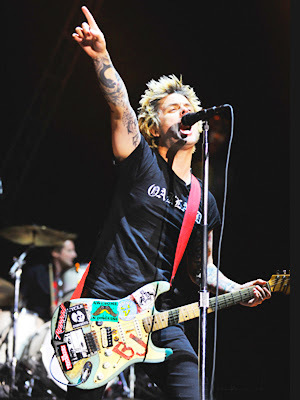 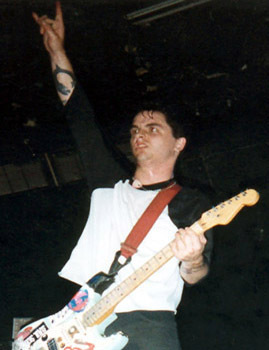 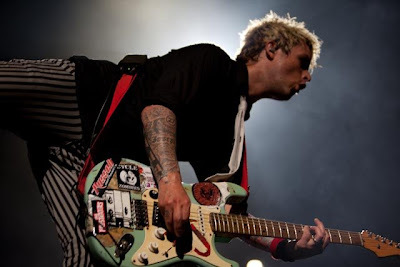 Bullet in a Bible Version remained with Billie Joe till 2009, Billie Joe was see playing 2005 version in his most 21st century Breakdown tour. 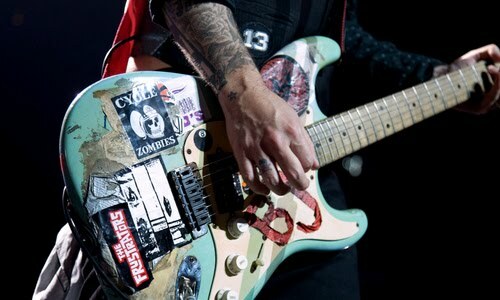 I'll keep updating this post with more photos of His guitar. Hope this helps, If you have any questions regarding BJ guitar or Stickers then you can email me at bjguitarstickers@gmail.com or you can Join Area51 blog forums and post there Click here to join forum, You can also post comment here.